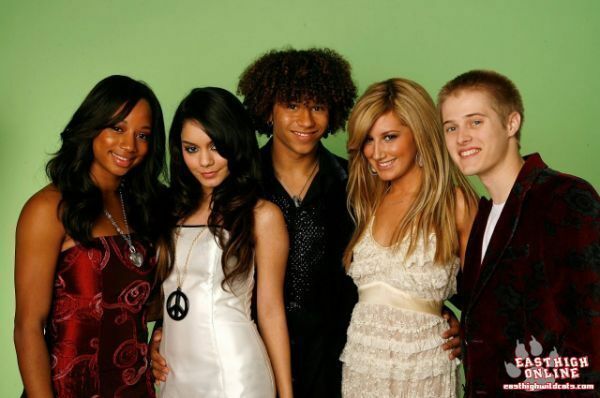 HSM Cast. . Wallpaper and background images in the High School Musical club tagged: high school musical zac efron vanessa hudgens lucas grabeel ashley tisdale corbin bleu monique coleman kenny ortega. This High School Musical photo contains portrait, headshot, gros plan, and closeup. There might also be demoiselle d'honneur, demoiselle d’honneur, robe de cocktail, gaine, bustier, épaules nues, bretelles, nus, and bretelles épaules.